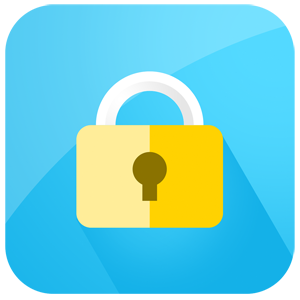 If you don't want anyone accessing your favorite apps, you can use AppCrypt to password protect them. Despite its simplicity, the application is quite effective and it comes with powerful encryption capabilities. The best part is that it takes only a few seconds to lock any application on your Mac. What's more, AppCrypt will let you know about all failed access attempts. Once the application is up and running on your Mac, you only need to load one or more apps on its clean and simple user interface. This is literally all you have to do. Once an app is imported, AppCrypt will ask for your master password each time you try to open that app. If you wish to stop protecting an app, you only need to remove it from AppCrypt's user interface. If you or someone else fails to provide the correct password, the application will log this action. The failed attempts are listed in a table, on the same user interface. The information includes the app's name, the fail reason and even a screenshot. AppCrypt works in the background at all times, to protect your apps and log failed access attempts. Furthermore, the application won't use your CPU while it's idle, so you don't have to worry about any impact on your machine's performance. You can protect any number of apps just by adding them to a list. 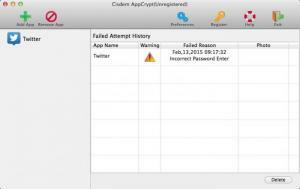 AppCrypt is capable of logging all failed access attempts. The application works in the background at all times, without using your CPU while it's idle. Your apps are not protected if AppCrypt is not running. Fortunately, the application comes with an auto-start feature, but it is still a weakness. While using AppCrypt on your Mac, no one will be able to access your apps without permission. You can download AppCrypt free here.